Professors Masoud Sanayei and Rich Vogel, along with Professor Alva Couch in Tufts Engineering Department of Computer Science, and alumna Erin Bell, EG03 of the University of New Hampshire, received a National Science Foundation grant to develop a Fatigue Health Portal (FHP), an advanced technology for real-time fatigue life prediction of in-service bridge structures. The FHP will feature variable fatigue stress ranges, operational measured strains, unknown vehicle information, hypothesis testing for damage assessment, and use of an alert system to improve system safety. The project will leverage methodology using statistical hypothesis testing of Survival Distribution Functions at Six Flags New England. 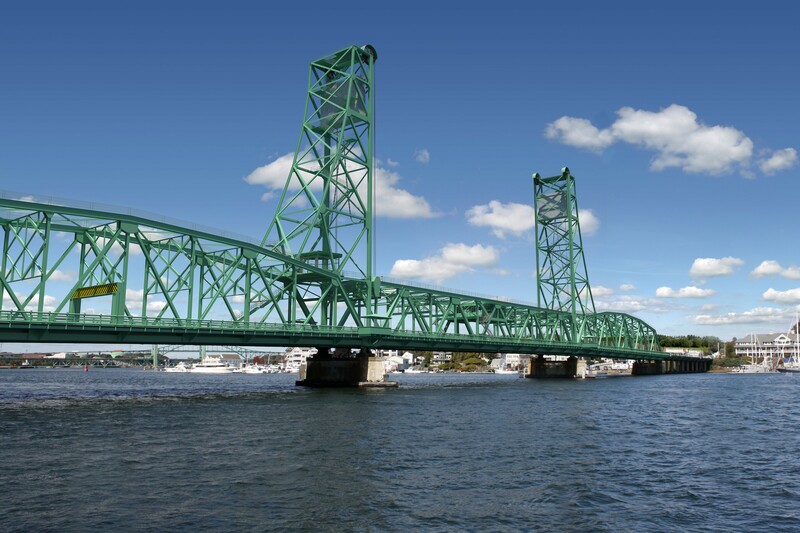 In addition, as a proof of concept, the project will leverage planned strain instrumentation of the Memorial Bridge in New Hampshire. The final product would fill an existing need to monitor and assess the conditions of aging U.S. infrastructures. This entry was posted in Alumni, Civil and Environmental Engineering, Departments, Engineers, Faculty, Women Engineers on December 7, 2016 by Julia Keller.